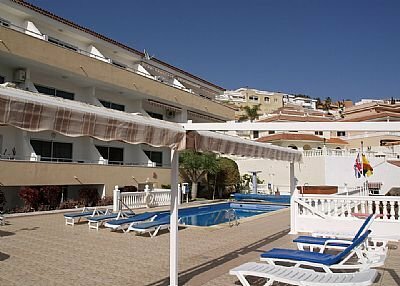 These fantastic one bed apartments to rent at Florida Park, Tenerife are solely for the over 45's. 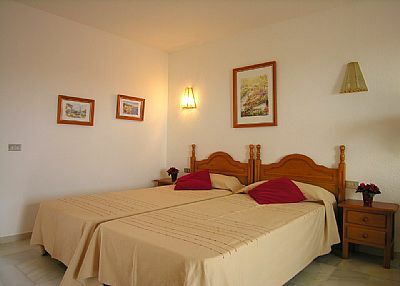 Offering peace and relaxation yet located just 5 minutes in Las Americas. This lovely one bed apartment to rent in Florida Park offers high quality accommodation in an immaculately maintained complex. Twin beds, fitted wardrobes, chest of Drawers, bedside table, celing fans. As stated in previous reviews the apartments were up a steep hill and a fairly long walk to the seafront. The walk down kept us fit and burnt off some of the calories we put on eating and drinking and the taxis were really cheap so we got Taxis back to the apartment. Daniel the site manager was very helpful and cheerful. Apartment was fine but like the whole complex a bit tired. There were a lot of 'retired' couples who come every year for a few months and who knew each other but we were invited to join in with them although we didn't because as we were only there for a short period we wanted to do other things. We did have conversations with them and weren't made to feel like ''outsiders invading the click'', although I can imagine some people could get this feeling as it's always difficult coming along into an established group. There is a camp opposite, not sure I'd call it a 'Down and Outs' camp as previously mentioned as people were coming and going on motor bikes. But apart from one occasion when there was some drum music for a while, there was no problem whatsoever with the noise or the people. If you do stay here take some binoculars so you can look at the Siam park water rides opposite whilst on the patio. Although we enjoyed our stay here we would prefer to be nearer the beach and preferably with an outlook of the sea and where we could ''people watch''. 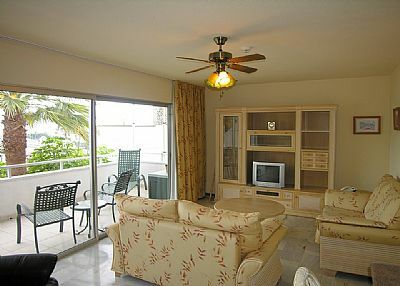 The property was ideal for our requirements and the resort managers were extremely helpful. 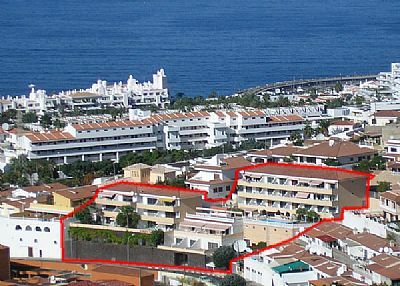 The property is ideally placed for access to Eugenio seafront, bars, restaurants and supermarkets. We will definitely stay again. 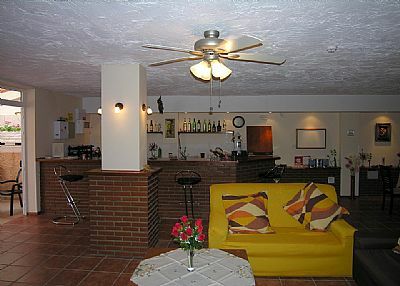 the apartment was clean and comfortable, you could buy water on site which was very helpful.the only down side for us, was the steep hill to get back from apartment at night after walking to nearby restaurant. you can walk to promenade and beach, but you will need to be fit to walk back as its all up hill. We really enjoyed our time at Florida Park and met many lovely people. So much so that we intend going back a couple of times this coming year. It is VERY quiet and, while it suited us, might not suit everyone because of this. 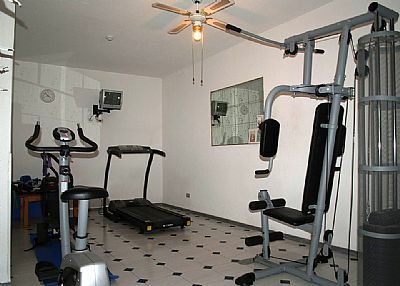 It is very conveniently situated for all amenities and for transport to and from the airport. 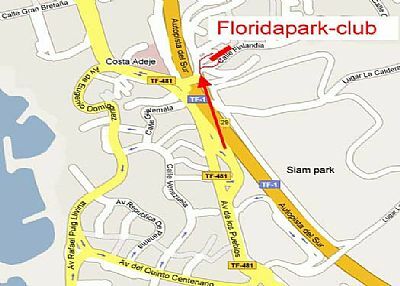 We had an enjoyable stay in Florida Park.and found plenty of good bars within easy walking distance. The Srar Bar provided good entertainment and we loved Marios for its friendly service and good value meals. 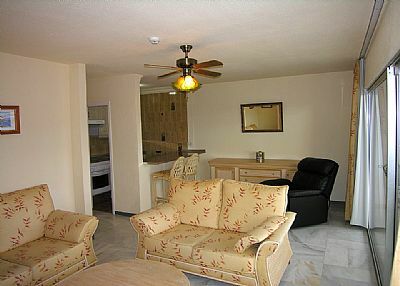 The 1 bedroom apartment we booked was spacious comfortable and very quiet and we found all the residents and long term holidaymakers to be very welcoming and friendly. The honesty bar system with free tea, coffee and nibbles was a lovely surprise with very cheap prices for wines and beers. We hope to return next year for a winter sun holiday. Thanks Kim for a lovely full English breakfast on Saturdays and Wednesdays. Excellent value.